Special Offer: Order 2 items of this product for a total of just £18.00. 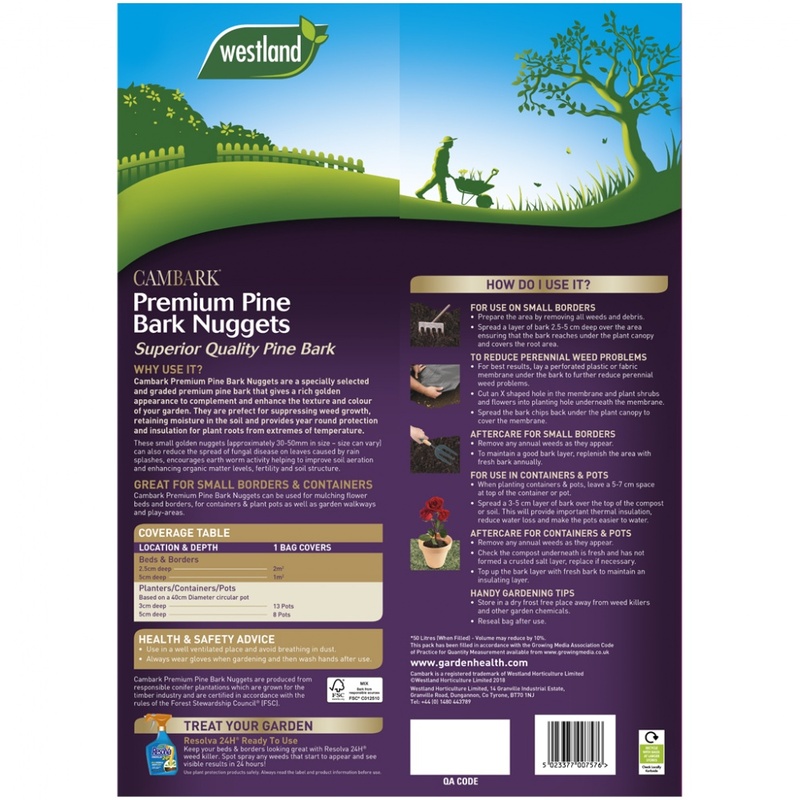 Cambark Chunky Chip Bark 70ltr Bag provides FSC certified premium quality pine bark nuggets of play grade quality, making this bark ideal for use in children's outdoor play areas or other soil coverings. 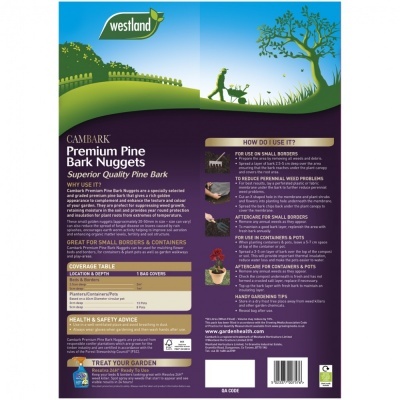 Very suitable for use in keeping low maintenance tree and shrub boundaries and areas where plants require root protection, whilst holding moisture in the soil for longer. Chipped Bark is popular for decorative use and brings natural benefits to your garden, walkway or landscaped areas. Cambark Chunky Chip Bark lasts twice as long as spruce bark and offers outstanding quality and appearance.